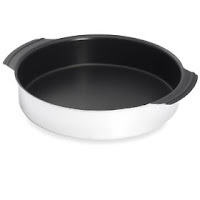 Amazon.com is selling a Gourmet Standard 9 Inch Round Tri-Ply Cake Pan with Excalibur Non Stick for $14.99. However there are limited numbers available. Expect this pan to sell out quickly at this price. There is a second seller selling this same pan for $20 shipped on Amazon which is also a great deal for this pan, seeing it normally sells for a significant amount more than even that list price.